Betrue Sporting Goods has a team of professional and technical personnel with high production efficiency. With a professional service team, Betrue Sporting Goods is dedicated to providing efficient, professional and comprehensive services and helping better know and use the products. Betrue Sporting Goods will insist on the business philosophy of 'quality creates the brand, technology makes benefits'. We promote the enterprise spirit of 'pragmatism, progress, and innovation'. We strive to build a first-class brand and continuously provide high-quality products and services. Since the establishment in 2000, Betrue Sporting Goods has been well-known in the market for the unique style and advanced concept. After the development for years, we successfully establish the unique brand image. 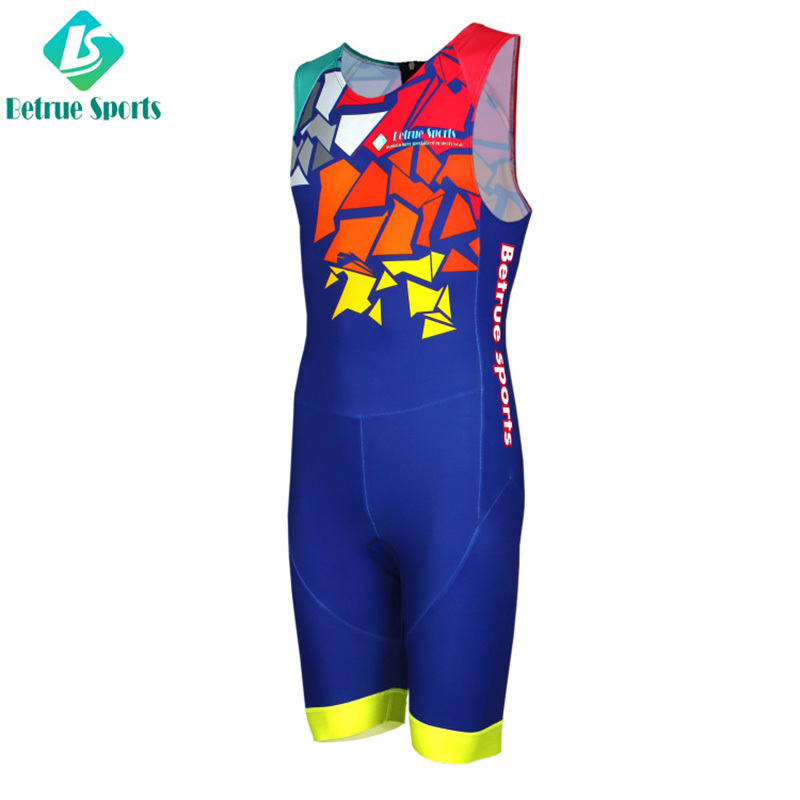 Betrue Sporting Goods's cycling bib shorts is manufactured in strict accordance with relevant national standards. Every detail matters in the production. Strict cost control promotes the production of high-quality and priced-low product. Such a product is up to customers' needs for a highly cost-effective product.Betrue Sporting Goods advocates a natural, energetic and healthy philosophy of life. Focusing on originality and individuality, we design and produce oem sportswear of simple style, stylish personality, and natural comfort. They are suitable for a variety of occasions. Their collocation and plasticity can maximize the self-style and promote you to experience the free concept of dress.Compared with products in the same category,Betrue Sporting Goods's cycling bib shorts's outstanding advantages are as follows. 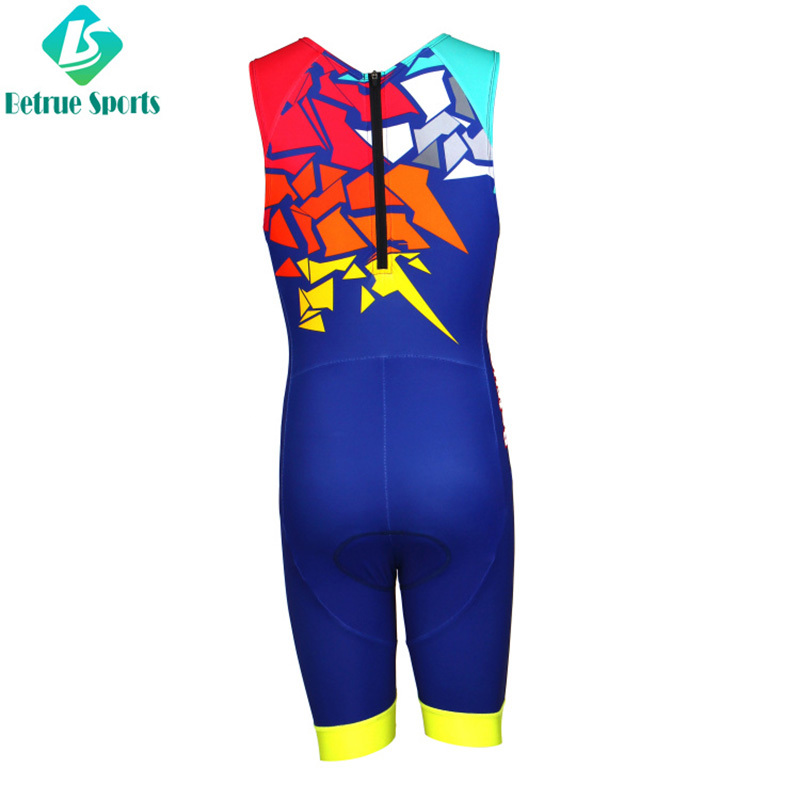 ◪ Italian Fabric Top Triathlon Suits Sleeveless: the composition is 80% polyester +20% spandex Italian triathlon fabric. Using the Italian EI Tri pad and pow band. With the quick dry & sweat discharge & moisture wicking function for the body. And unique design and comfort template for the best speed race. 1. Betrue has made great achievements in triathlon suit mens industry with the help of each staff. 2. Guangzhou Betrue Sporting Goods Co.,Ltd. has established excellent R&D teams and professional technology support teams. 3. Guangzhou Betrue Sporting Goods Co.,Ltd. makes use of triathlon race suit service concept to construct large power customer management information system. Ask online!